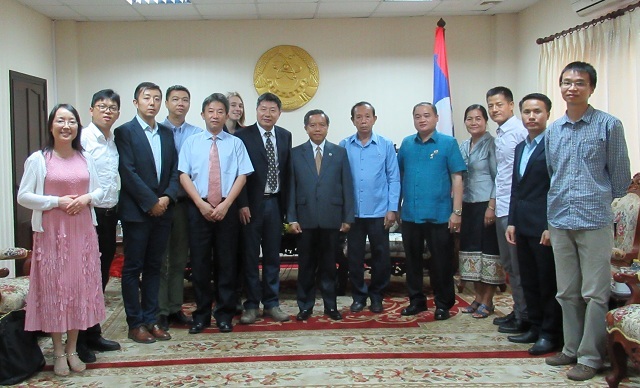 Prof. Chen Jin, director of Xishuangbanna Tropical Botanical Garden (XTBG), headed up a 9-person delegation to Ministry of Science and Technology (MoST) of Lao PDR during November 9-15. 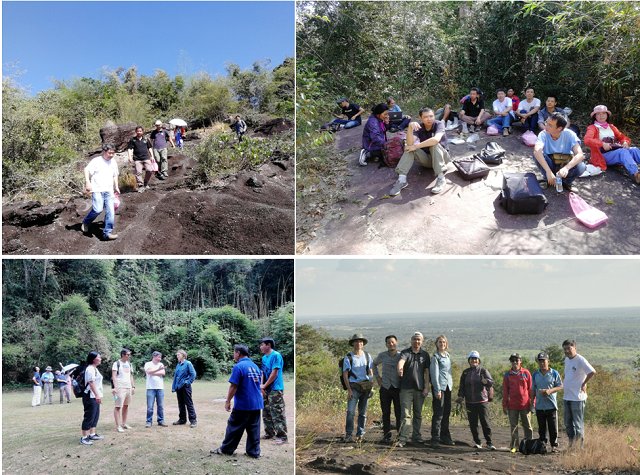 The visit is mainly for promoting the establishment of program office of Southeast Asia Biodiversity Research Institute (SEABRI) and a 25-ha forest dynamics plot in Lao PDR. 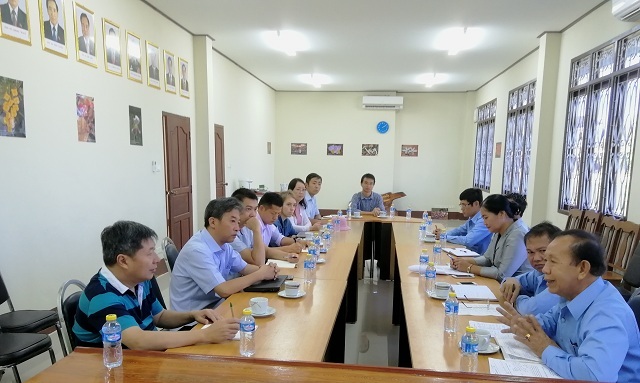 XTBG delegation visited the Biotechnology and Ecology Institute (BEI) of Lao PDR on November 10. The two sides had discussion on cross-border and karst area biodiversity conservation, talent training and capacity building, land use, environmental friendly rubber plantations, etc. According to Mr. Ratsamy PHANTHAVONG, director of BEI, it will provide a room of 22 m2 for free as an office of SEABRI in Lao PDR. 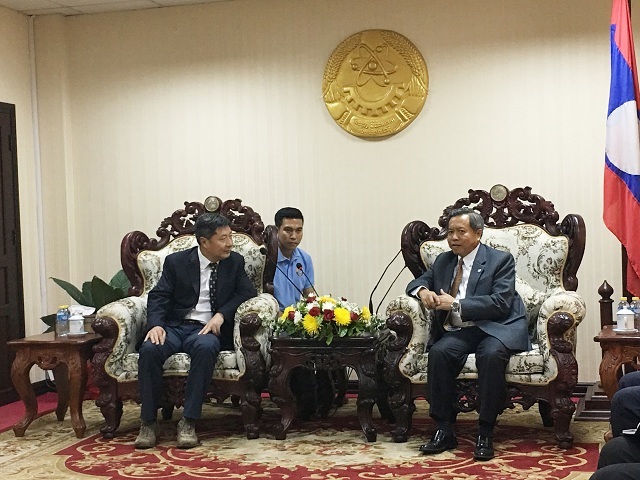 Prof. Dr. Boviengkham Vongdara, member of the Central Committee of the Lao People’s Revolutionary Party and Minister of Science and Technology of Laos, met XTBG delegation on November 11. The two sides had discussion on implementing the MoU signed in August. The Laotian party will give full support to work on forest plot, biodiversity conservation, talent training, etc. During November 11-13, XTBG researchers made field investigations on nature reserves and forest vegetation in Bolikhamxay Province. They also investigated the forest by using unmanned aerial vehicles, which makes preparation for the 25-ha forest plot. Talent training is another important issue for the visit. 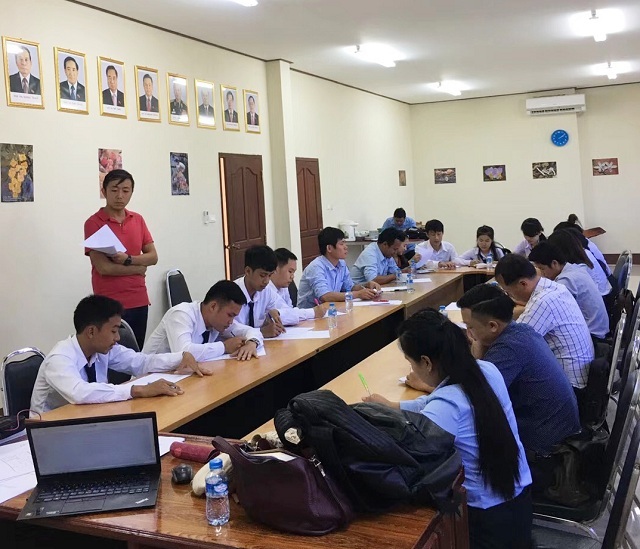 On November 14, XTBG researchers interviewed 19 young researchers from Lao PDR. After exams and oral talks, 5 applicants will be admitted to pursue degrees ( two for Ph.D, three for MSc) in XTBG. XTBG will work more to help train young researchers of Lao PDR and contribute to biodiversity conservation.